A complete delicious meal in no time at all! 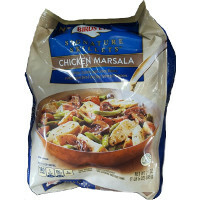 Birds Eye Signature Skillet frozen meals contain delicious Birds Eye vegetables picked at the height of freshness with tender, lean cuts of meat or seafood, pasta or rice, seasoned with a variety of flavorful sauces. This is a very good product with all distinctive varieties. Very enjoyable and crisp and fresh. I love most of your vegetables. They are close to fresh. This is excellent. I thoroughly enjoy the Birdseye products. I love their products. My favorite are brussel sprouts. Great alternative to fast food lunches. Very fresh and great for a last minute side.